20th Century Fox has released the first trailer and poster for Night at the Museum: Secret of the Tomb, the third and final installment of the successful action comedy franchise. You can watch the trailer here and check out the poster below. 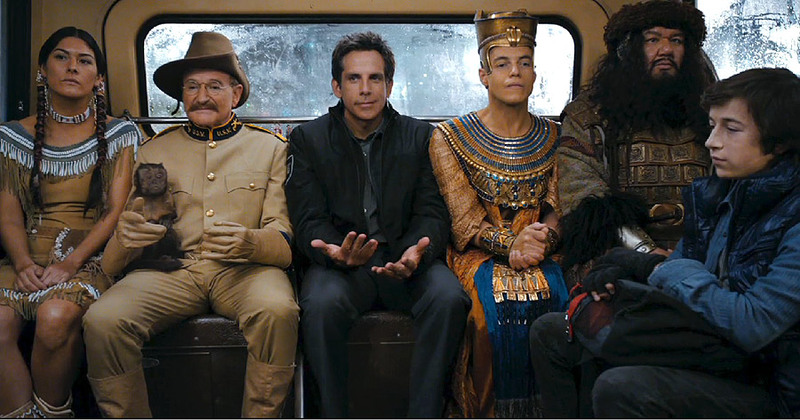 This time, Larry Daley (Ben Stiller) and the museum wonders travel to London’s British Museum to save the Egyptian Golden Tablet of Pharaoh Ahkmenrah, the source of the magic that brings the museum characters to life. Larry and museum exhibits including Pharaoh Ahkmenrah (Rami Malek), Teddy Roosevelt (Robin Williams), Attila the Hun (Patrick Gallagher), Sacajawea (Mizuo Peck), Roman centurion Octavius (Steve Coogan) and Jedediah (Owen Wilson) wind up at the British Museum’s famed Egyptian wing to solve a deadly mystery.